In the tradition of 102 Minutes and Columbine, the definitive book on the Boston Marathon bombing and subsequent manhunt for the Tsarnaev brothers, written by reporters from The Boston Globe and published to coincide with the first anniversary of the tragedy. The authors, both journalists at The Boston Globe, are backed by that paper’s deep, relentless, and widely praised coverage of the event. Through the eyes of seven principal characters including the bombers, the wounded, a victim, a cop, and a doctor, Helman and Russell will trace the distinct paths that brought them together. With an unprecedented level of detail and insight, the book will offer revelations, insights, and powerful stories of heroism and humanity. 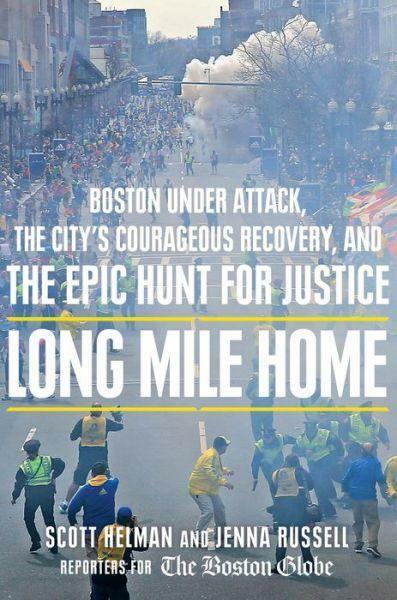 Long Mile Home will also highlight the bravery, resourcefulness, and resiliency of the Boston community. It will portray the city on its worst day but also at its best.